With over 100 employees and eight locations nationwide, Thor Construction is one of the largest black-owned construction companies in the U.S. The company built a giant volcano outside the Mirage Hotel and Casino in Las Vegas, set up a mozzarella cheese factory for Davisco Foods in Lake Norden, South Dakota, and is working on the Minnesota Vikings new stadium in Minneapolis, which is scheduled to open in July 2016. After the January 2010 earthquake in Haiti, the company rebuilt 750 homes in the devastated Caribbean country under a U.S. government contract. But the company had a humble beginning back in 1980. As with many small-business owners, financing was a major challenge for Thor owner Richard Copeland. “It was a day-to-day struggle trying to make payroll,” he says. Finding the right financing is critical for small-business owners. Here’s NerdWallet’s comparison of small-business loans for a variety of situations. Copeland overcame his early struggles and Thor Construction joined the ranks of the nation’s 2.1 million black-owned businesses — which bring in over $138 billion in revenue each year, according to the National Black Chamber of Commerce. Is the overall economic environment strong? We evaluated the number of businesses per 100 residents, median income for the black population, the cost of living and the unemployment rate in each place. Are existing black-owned businesses successful? We looked at the percentage of black-owned businesses, percentage of black-owned businesses with paid employees and average revenue per year for black-owned businesses in each place. Salt Lake City stands out. The black-owned businesses in Salt Lake City, at No. 21 on our list, have significantly higher average annual revenue — five times more — than the average of the 107 places analyzed. Existing businesses matter. Eight of the top 10 metro areas have a strong presence of black-owned businesses: At least 15% of all businesses in those places are owned by black entrepreneurs. Buffalo’s above average. Among metro areas with over 1,000 black-owned businesses, the Buffalo, New York, metro area — No. 81 on our list — has the highest percentage of black-owned businesses with paid employees: almost 12% compared with an average of 6.48% for all other places. Atlanta has a relatively affordable cost of living and a strong business environment, and Georgia has the nation’s third-largest black consumer market, worth over $73 billion. To help local companies thrive, the Atlanta Metropolitan Black Chamber of Commerce hosts monthly events and mentoring programs, and Atlanta’s Minority Business Development Agency provides resources, too. Notable businesses include B&S Electric Supply Co. and Engineering Design Technologies. Montgomery’s black population is growing faster than any other city on our list, and nearly a third of businesses are owned by black entrepreneurs. Resources for small businesses are available at the Alabama State Black Chamber of Commerce and the Montgomery Chamber of Commerce’s Minority Business Development Advisory Task Force. With a large percentage of black-owned businesses, an affordable cost of living and a rich culture, Memphis is a solid place for businesses to blossom. In addition to music, film and TV, Memphis excels in bioscience, green industry and manufacturing. The Black Business Association of Memphis offers one-on-one counseling, training sessions and networking events. In addition, the Greater Memphis Chamber has a Small Business Council that provides similar resources for entrepreneurs. The nation’s capital has a growing technology industry, an educated population and a dynamic mix of public and private sectors. Entrepreneurs looking to get off the ground can take advantage of resources at the National Black Chamber of Commerce, the Northern Virginia Black Chamber of Commerce and BizLaunch, an Arlington Economic Development entrepreneurship program. Just 25 miles northwest of Raleigh, the Durham metro area is largely defined by the Research Triangle Park, which includes Duke University, the University of North Carolina at Chapel Hill and North Carolina State University. Durham is becoming a center for technology startups, with several accelerators, co-working spaces and entrepreneurial meetups. The city also encourages social entrepreneurship and has supported several successful mission-driven organizations in the community. Business owners can find resources at the Greater Durham Black Chamber of Commerce. Savannah is steeped in black culture, and its history attracts about 13 million visitors each year. The charming coastal city is home to culinary gems, including Chef Joe Randall’s Cooking School and Sisters Real Southern Cooking. The area’s over 200 banks and credit unions provide plenty of access to funding for new small businesses, and the Creative Coast Alliance is a unique nonprofit that encourages entrepreneurship and innovation. Black-owned businesses account for 20.7% of all businesses in Louisiana’s capital, which is higher than the study’s top 10 average of 19.8%. Local businesses are supported by the Baton Rouge Area Chamber, which has recently made an effort to expand the area’s businesses outside the chemical and gas industries. The local economy is also boosted by the area’s affordability. The median income of $18,047 is below the top 10 average of $20,210, but that’s offset by a lower cost of living. Baton Rouge’s cost of living index of 91.3 means consumers have more money to spend at local businesses. Businesses in Baltimore benefit from the 270,000 commuters who arrive in the city every day. Baltimore Open for Business offers a comprehensive online guide to entrepreneurship in the city — with details about permits, zoning, licenses and inspections. The University of Baltimore’s Center for Entrepreneurship and Innovation has been an important local institution, helping build Baltimore’s profile as a destination for small-business owners. Long referred to as the hub of black capitalism, Richmond’s tradition of black-owned businesses continues today. The city’s 8.67% of black-owned businesses with paid employees is the highest in the top 10. Richmond’s unemployment rate of 5.3% is the second lowest in the top 10, which means a healthy local economy for entrepreneurs. The Greater Richmond Chamber of Commerce runs the YRichmond program to help aspiring millennial entrepreneurs start businesses in the city. Florida’s largest metropolitan area is also one of the best places in the country for black business owners. Overall, it has 13.76 businesses per 100 residents, making the Miami metro area a magnet for aspiring business owners. Of all businesses in Miami, 12.4% are black owned, significantly higher than the 7.2% average of all places we analyzed. The area’s success for black entrepreneurs can be attributed to the Miami-Dade Chamber of Commerce, which was established in 1974 to support the local black business community. Learn more about small-business loans and get into the nitty-gritty of starting a small business with NerdWallet’s guide. Scroll through the table below to see the data for all 107 places studied. Our analysis doesn’t include places with populations under 100,000. Economic environment is 50% of the overall score. We used four metrics to analyze the health of each metro area’s economic environment. 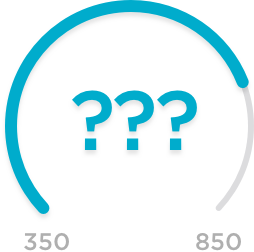 Number of businesses per 100 people is 15% of the score. We used data from the U.S. Census Bureau’s Statistics of U.S. Businesses to analyze the number of businesses in every place. A higher number of businesses per 100 residents in a metro area led to higher score. Unemployment rate is 5% of the score. We used June 2015 data from the Bureau of Labor Statistics to analyze job availability in each city. A lower unemployment rate led to a higher score. Black median income is 15% of the score. We used data from the U.S. Census Bureau’s American Community Survey to find the median income for black residents in every area. A higher median income led to a higher score. Cost of living index is 15% of the score. We used data from the Council for Community and Economic Research to evaluate a city’s affordability. A higher cost of living led to a lower score. Black-owned business success is 50% of the overall score. We looked at three metrics from the U.S. Census Bureau’s Statistics of U.S. Businesses to determine this score. Percentage of black-owned businesses is 30% of the score. A higher percentage of black-owned businesses led to a higher score. Average revenue of black-owned businesses is 10% of the score. Higher average revenues led to a higher score. Percentage of black-owned businesses with paid employees is 10% of the score. A higher percentage of black-owned businesses with paid employees led to a higher score. 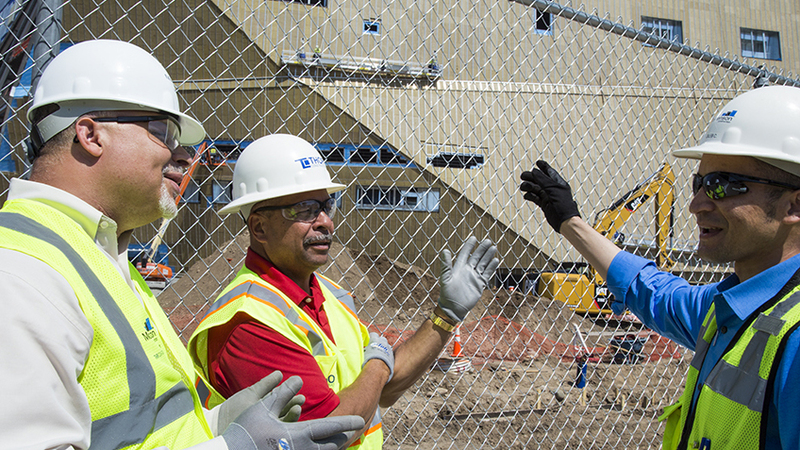 In the second photo, courtesy of Thor Construction, CEO Ravi Norman, left; Richard Copeland, owner and chair, center; and Caleb Cutwright, project manager, right; are shown at the downtown Minneapolis construction site of the new stadium for the Minnesota Vikings. This post was updated Aug. 19, 2015.